My friend introduced me to this article by Pat Archbold and it was really inspiring to me. It made me really think how I want to present my self to the world. It motivated me to be strong and shine from the inside out not the other way around. I believe that how ever much time you spend making your self up on the outside you should double that time working on your inside. I love this article because it breaks down the definition of being pretty to the raw fundamentals of what a woman should aspire to. Women can be such a powerful influence over men and other women when they have virtue, this article explains that a woman’s appearance is the main indicator on how she should be respected, approached, and treated. I challenge each of you to fine tune your inner beauty just as much as your outer beauty. Be the real meaning of PRETTY and help bring it back. 4. 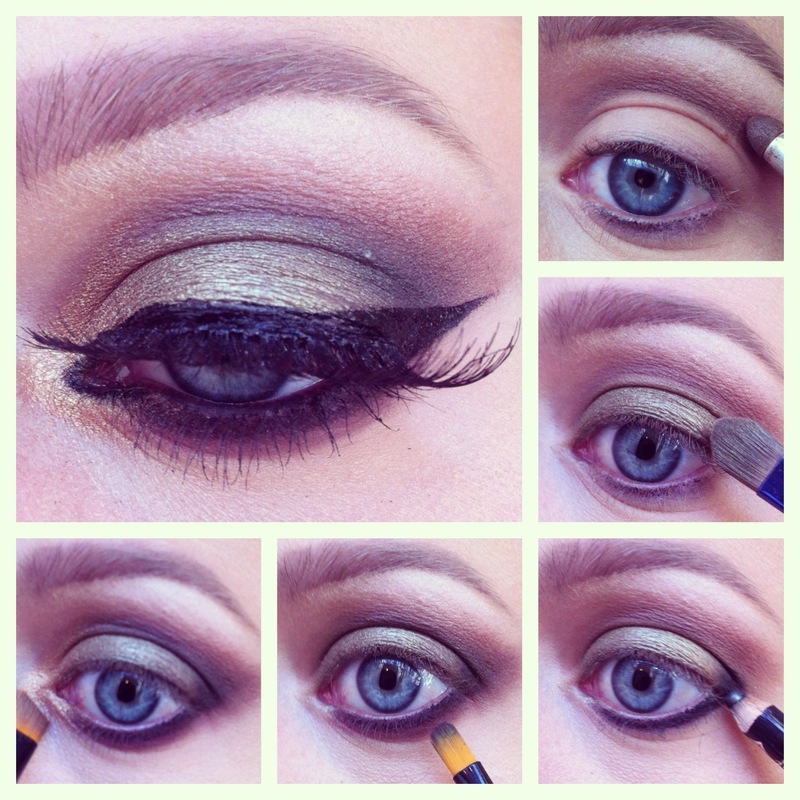 To soften the eyeliner I blend it in using a red wine color to accent the olive green eye-lid. 5. To highlight my blue eyes I used a small amount of gold in the inner corner of my eye.